Founding David Brown Automotive was a natural step to combine my engineering and manufacturing background with my love of cars. Our entire model range encapsulates all that I hold dear to me in terms of style, quality and driving experience. I believe that my passion is reflected in every aspect of our cars’ design and build. If you share these principles, and appreciate British engineering and craftsmanship at its very best, then I hope that you will enjoy David Brown Automotive’s model range as much as I have enjoyed their creation. I am proud of what our highly-skilled team achieves and I feel privileged to put my name to it. Attention to detail and usability are at the forefront of what we stand for, in everything we do. Combining state-of-the-art technology to provide all the conveniences of modern vehicles in retro-designed packages, our models are some of the most unique, exclusive and versatile luxury vehicles in the world today. 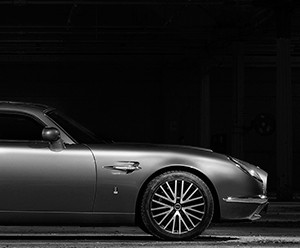 By reintroducing the iconic shapes of the Sixties into entirely new and contemporary packages, David Brown Automotive offers a modern ownership experience with the heart and soul of a classic. Using state-of-the-art engineering techniques combined with traditional handcraftsmanship and the finest British materials, each car is bespoke-built with no compromise, at the company’s purpose-built headquarters and build facility in Silverstone, Great Britain. 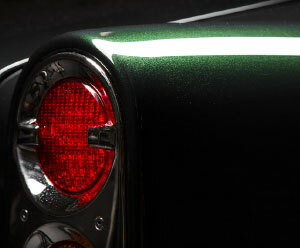 Sleek lines and sumptuous curves, get up close and personal with Speedback GT's most intricate details.